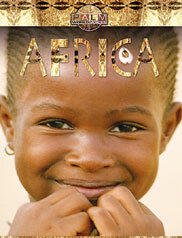 As the birthplace of mankind, the music of Africa is the heart that beats through all music. Even more vast than the musical history of Africa is its breadth of territory; there's no quick or easy way to traverse it. Africa requires a journey. To travel from the griot musicians of Senegal to hear Nigerian juju is a thousand mile walk across the ancients deserts of Mali and Burkina Faso where nomads traded music and exotic handmade instruments. South from Ethiopia to Kenya through the lush jungles of Uganda, Tanzania and Mozambique, and all the way to South Africa is to pick up a new lexicon of music history, from marabi to chimurenga to kwaito. Pure dance energy, reverent meditations, the continuing struggle for political justice - the long tradition of sharing culture through music has given Africa one of the richest soundtracks in all the world. An audio CD soundtrack featuring Juju star King Sunny Ade, Senegal's Baaba Maal, and Afro-pop artist Salif Keita. A 60 minute DVD that provides a fantastic, colorful visual journey though Africa accompanied by a remasteredDolby 5.1 surround music soundtrack. A beautiful 40-page book with stunning photos of Africa accompanied by an essary by acclaimed British journalist Robin Denselow. An exclusively designed poster map created by the National Geographic Society that provides more detail about the peoples, music and geography of Africa.